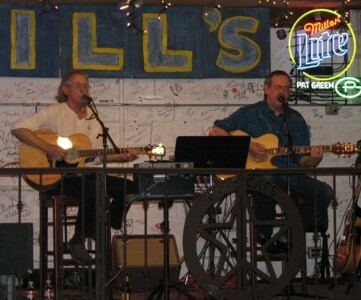 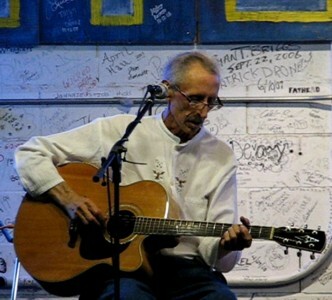 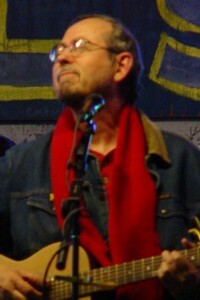 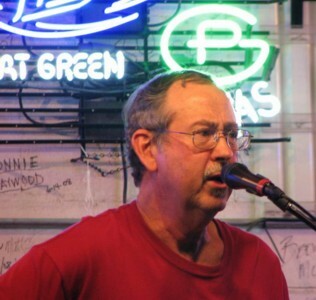 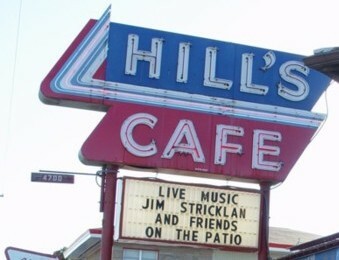 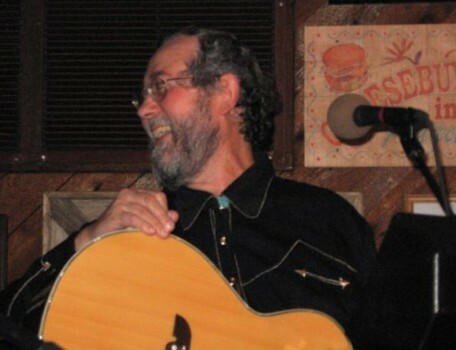 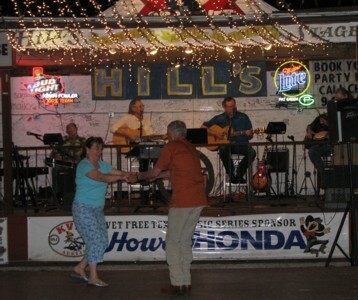 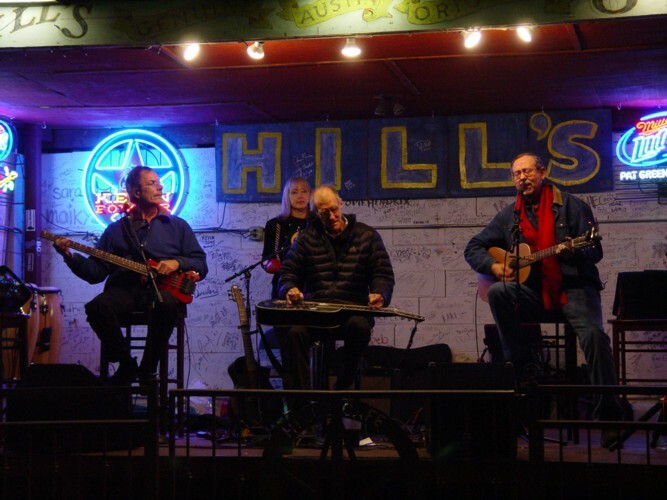 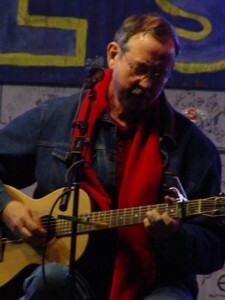 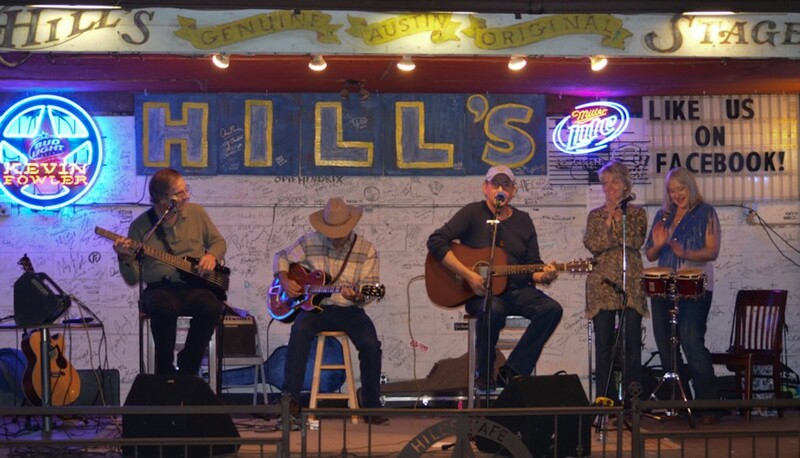 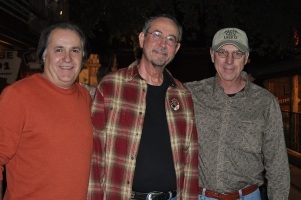 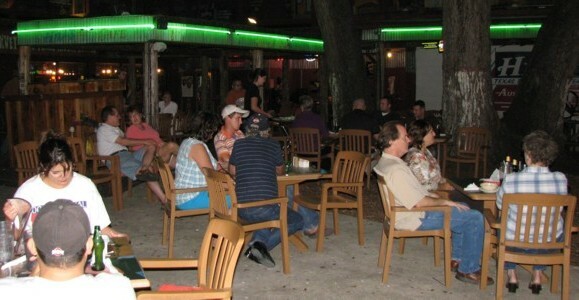 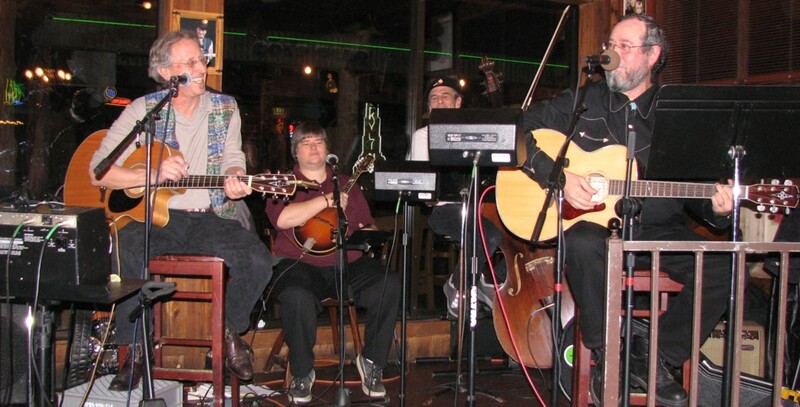 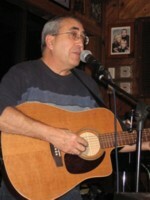 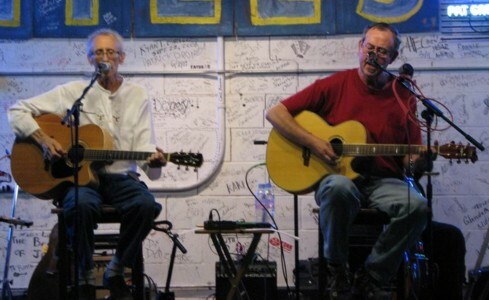 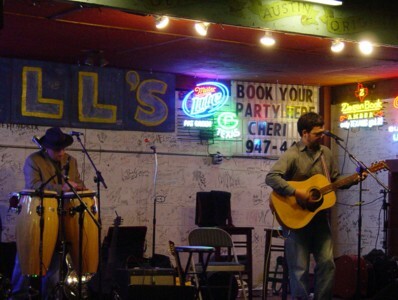 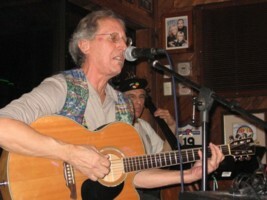 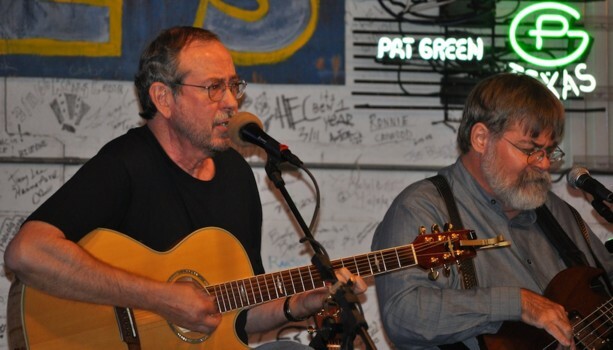 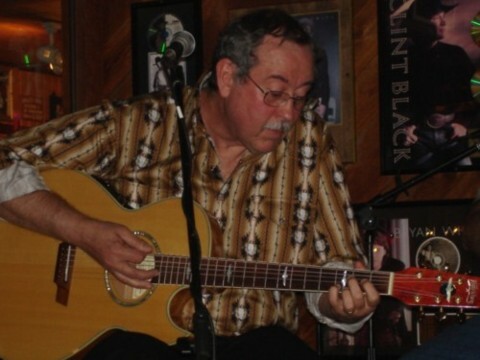 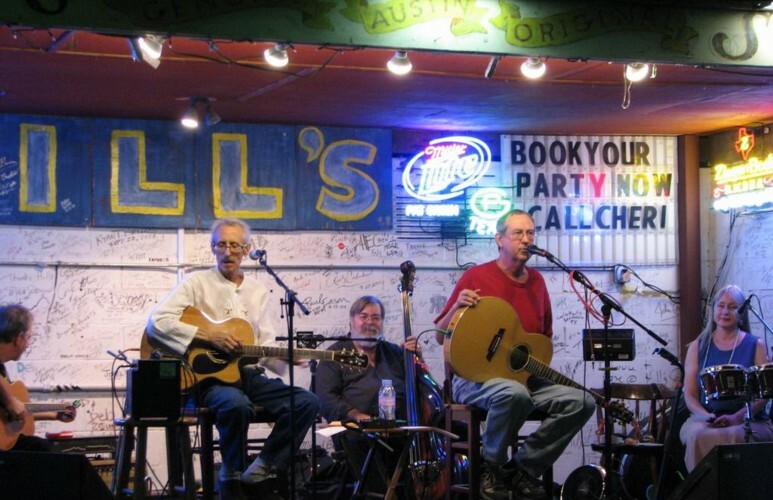 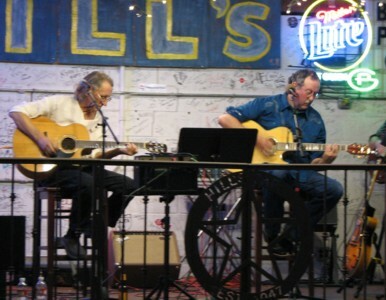 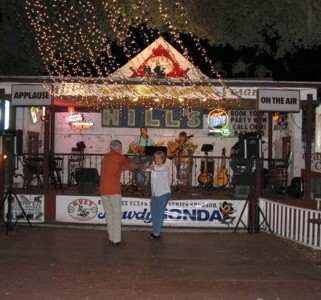 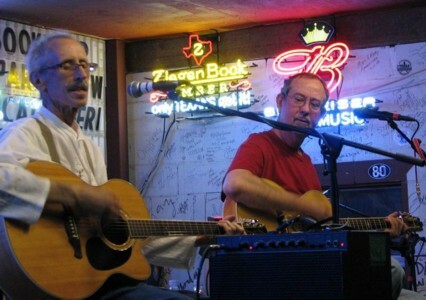 Jim returned to Hills in 2006 for a winter season indoor show, accompanied by Doug Taylor, Greg Lowry, and Leslie S. From then on, Jim and Friends have played an annual fall show at Hills, typically under the majestic oaks in the courtyard. 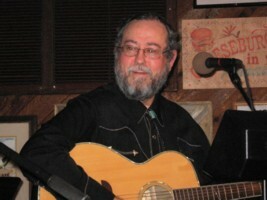 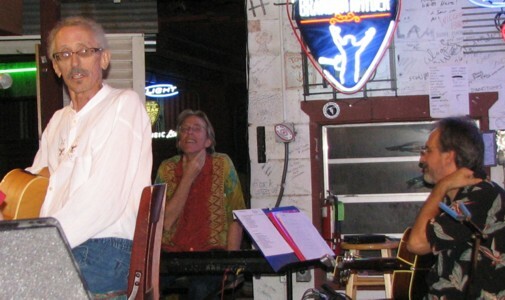 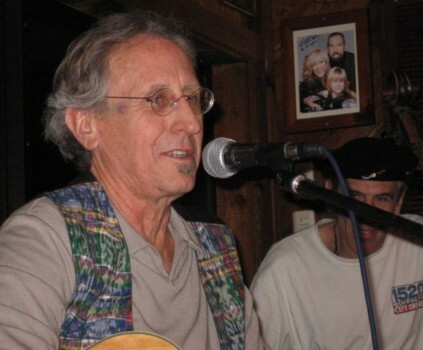 First and foremost among Jim's musical friends, Larry Rothwell played the 2007 shows in fine form, but for whom 2008 sadly was his farewell performance. 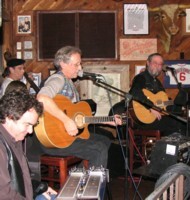 The 2009 show honored Larry with an empty chair on stage. 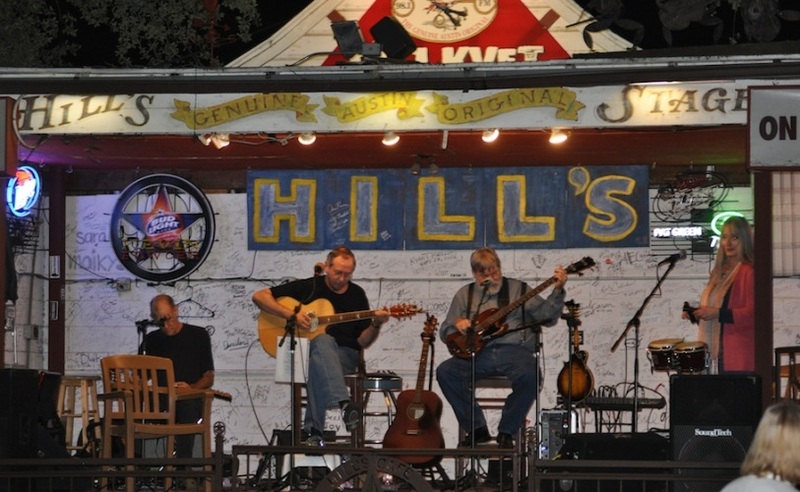 Still the shows have continued each year, magical and memorable, with wonderful musical variety, special guests and a friendly party atmosphere. 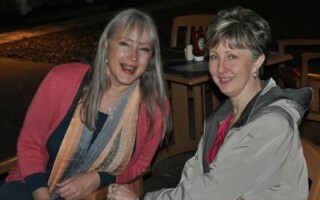 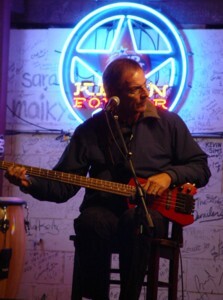 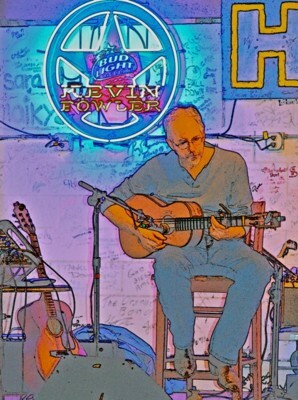 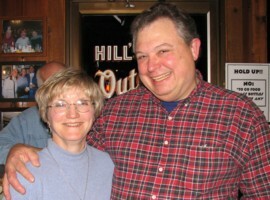 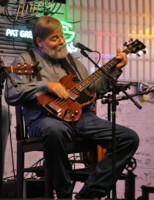 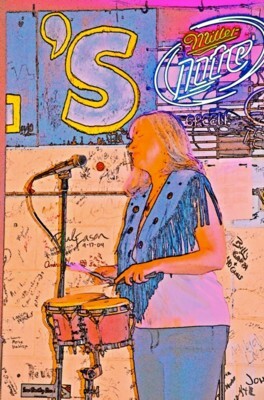 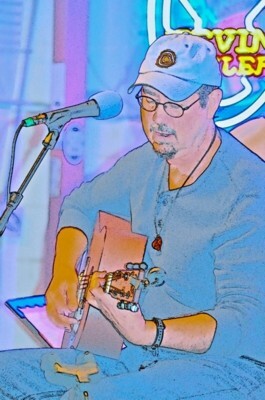 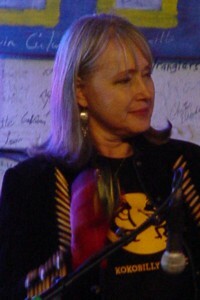 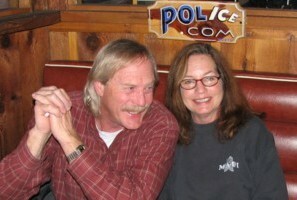 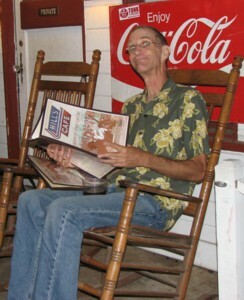 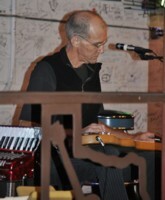 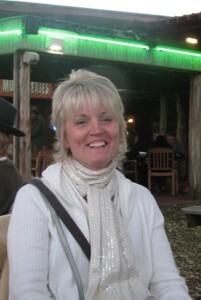 In 2010 and 2011 Butch Hause, a top bass player in Colorado, joined the show along with his lovely wife Sarah Lincoln. 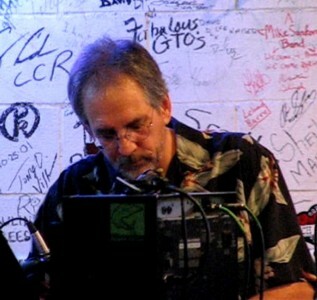 Other special musical guests over the years have included Steve Brooks, Michael Romero/"Strumero", David Romero, John Napier, Mike Davis and Alicia Gill. 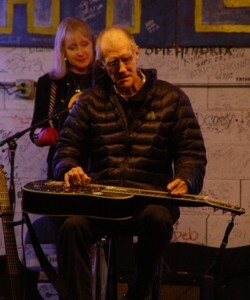 Players have also included George Coyne, Chuck Ditto, Bill Baskin and Cara Cooke. 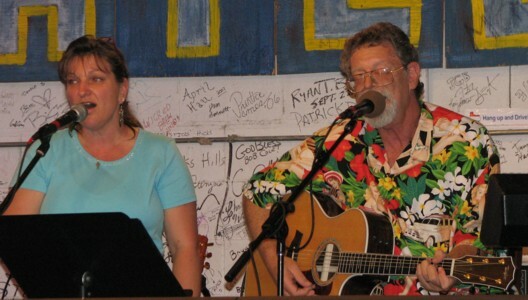 Enjoy these photos from the shows over the years, and better yet, mark your calendar to join the fun at the next show!